Hewlett-Packard was launching the newest version of its HP NonStop Servers, a new technology replacing older, outdated mainframes. 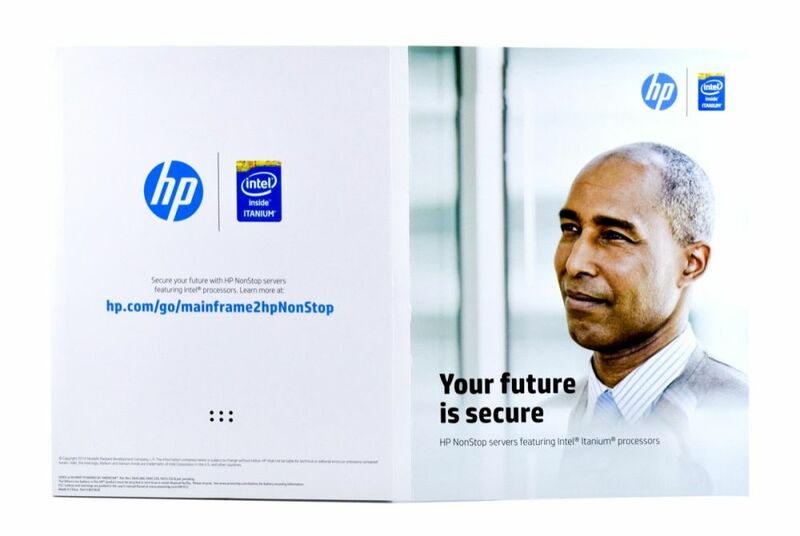 HP needed a compelling piece to persuade IT professionals to migrate mission-critical workloads from mainframes onto the HP NonStop Servers. 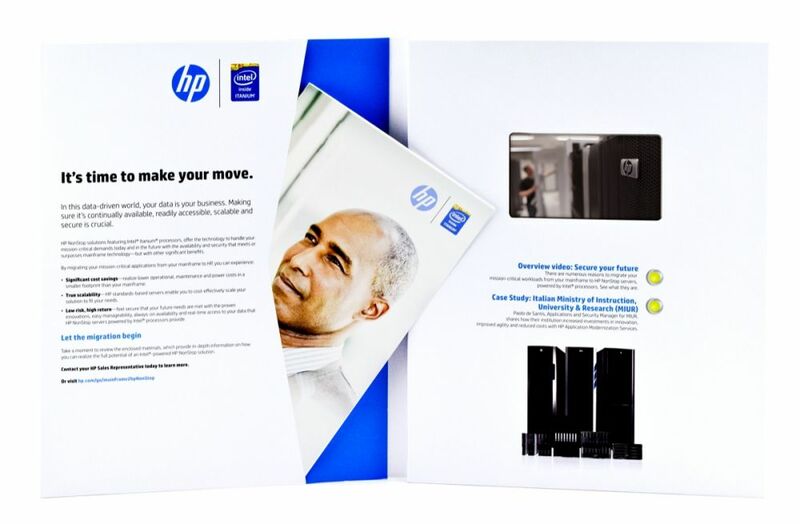 With its campaign slogan of “It’s time to make your move,” HP needed an impressive B2B development brochure to grab attention and generate excitement among potential customers and channel partners. 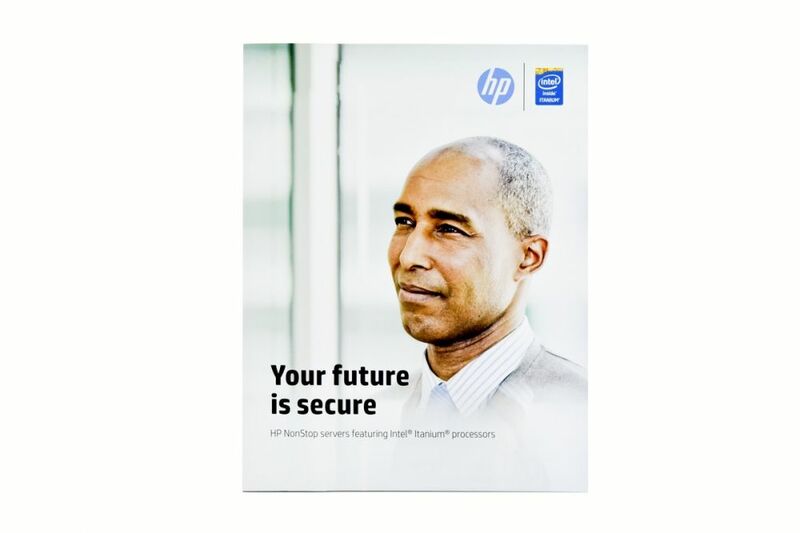 Working with HP’s agency, Americhip designed and produced an innovative marketing brochure incorporating our patented Video in Print technology. What better way to showcase your cutting-edge technological advancements than by using Americhip’s innovative video brochures. 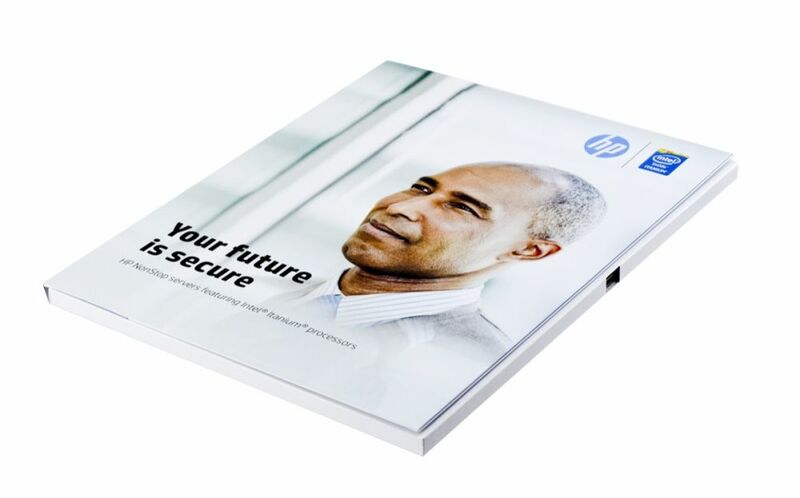 HP utilized the Video in Print brochure to feature all of the key specs and capabilities of the new Servers and to detail a high profile project with the Italian Ministry of Instruction. The oversized Video Brochure included a chipboard core which gave the piece a rugged and impressive feel. 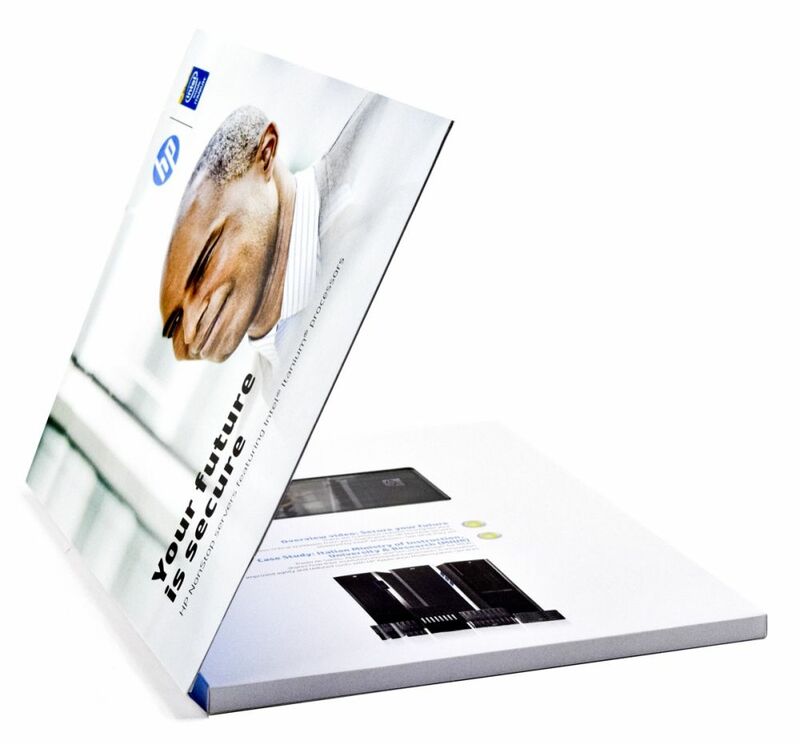 Transform your next marketing communication brochure from a traditional, overlooked piece into a real show-stopper. Speak to your audience through a medium that motivates and inspires.